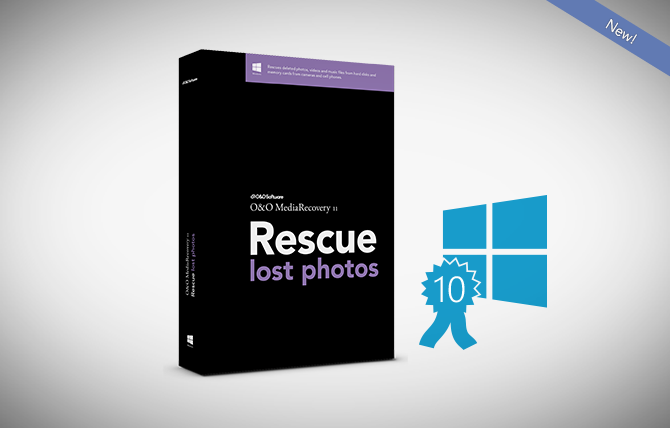 O&O MediaRecovery 11 – Recover lost photos, videos and music! Have you lost photos, videos or songs recently? With O&O MediaRecovery 11 you can recover deleted photos that captured those precious moments; last year’s vacation, the day you got married, or the first pictures of your children. Such memories are priceless and cannot be replaced so a small investment in this program is always worth it! The new version is now fully compatible with Windows 10. O&O MediaRecovery recovers data from removable drives such as MP3 players, digital cameras, memory cards (e.g., SD, MMC, xD as well others), hard disks, and, of course, most mobile devices such as Tablets or Smartphones. Simply install O&O MediaRecovery on your computer and connect the storage volume on which you wish to recover data. After the program starts, the O&O MediaRecovery wizard guides you step by step through the recovery process so that you will quickly regain access to your lost data. After completion of a scanning process, you can view the files that are capable of being restored. The preview function of O&O MediaRecovery supports most picture formats, including JPEG, BMP, and TIF. Just because your irreplaceable memories are deleted it no longer has to mean they are lost forever. Try it and see!